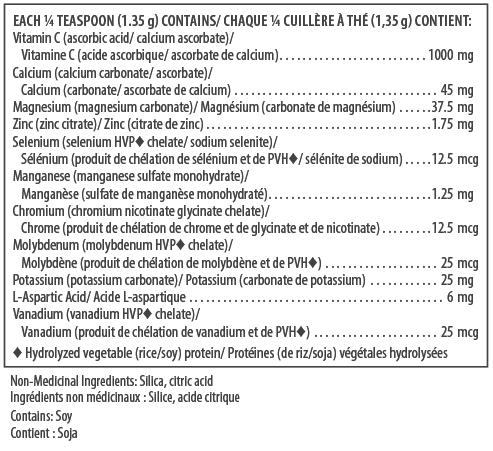 Genestra Scorbatate is a high potency Vitamin C formulation with 1,000 mg per serving and added minerals. Ideal for vegans. 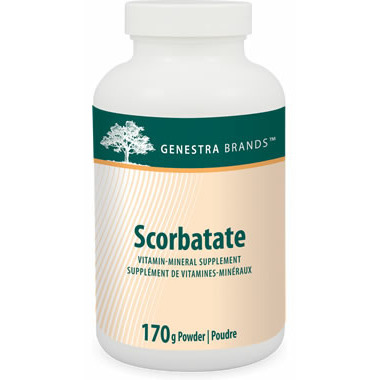 Scorbatate provides a high concentration of vitamin C in a buffered mineral base formula to help in the development and maintenance of bones, cartilage, teeth and gums; helps the body to metabolize fats and proteins; helps in wound healing and connective tissue formation; an antioxidant for the maintenance of good health; helps to prevent vitamin C deficiency; provides support for healthy glucose metabolism and helps to maintain healthy skin, immune and proper muscle function.